Computer software could be protected by copyright. District Court reversed and remanded. Apple Computer, Inc. v. Franklin Computer Corp., 714 F.2d 1240 (3d Cir. 1983), was the first time an appellate level court in the United States held that a computer's operating system could be protected by copyright. As second impact, this ruling clarified that binary code, the machine readable form of software, was copyrightable too and not only the human-readable source code form of software. Franklin Computer Corporation introduced the Franklin Ace 1000, a clone of Apple Computer's Apple II, in 1982. Apple quickly determined that substantial portions of the Franklin ROM and operating system had been copied directly from Apple's versions, and on May 12, 1982, filed suit in the United States District Court for the Eastern District of Pennsylvania. It cited the presence of some of the same embedded strings, such as the name "James Huston" (an Apple programmer), and "Applesoft," on both the Apple and Franklin system disks. Franklin admitted that it had copied Apple's software but argued that it would have been impractical to independently write its own versions of the software and maintain compatibility, although it said it had written its own version of Apple's copy utility and was working on its own versions of other software. Franklin argued that because Apple's software existed only in machine-readable form, and not in printed form, and because some of the software did not contain copyright notices, it could be freely copied. The Apple II firmware was likened to a machine part whose form was dictated entirely by the requirements of compatibility (that is, an exact copy of Apple's ROM was the only part that would "fit" in an Apple-compatible computer and enable its intended function), and was therefore not copyrightable. The district court found in favor of Franklin. 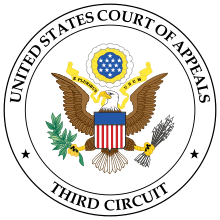 However, Apple appealed the ruling to the United States Court of Appeals for the Third Circuit which, in a separate case decided three days after Franklin won at the lower level, determined that both a program existing only in a written form unreadable to humans (e.g. object code) and one embedded on a ROM were protected by copyright. (See Williams Elec., Inc., v. Artic Int'l, Inc., 685 F.2d 870 (1982)). The Court of Appeals overturned the district court's ruling in Franklin by applying its holdings in Williams and going further to hold that operating systems were also copyrightable. Hence Apple was able to force Franklin to withdraw its clones by 1988. The company later brought non-infringing clones to market, but as these models were only partially compatible with the Apple II, and as the Apple II architecture was by this time outdated in any case, they enjoyed little success in the marketplace. IBM believed that some IBM PC clone makers such as Eagle Computer and Corona Data Systems similarly infringed on its copyright, and after Apple v. Franklin successfully forced them to stop using the BIOS. The Phoenix BIOS in 1984, however, and similar products such as AMI BIOS, permitted computer makers to legally build essentially 100% PC-compatible clones without having to reverse engineer the PC BIOS themselves. Another impact of the decision was the rise of the shrink-wrap proprietary software commercial business model, where before a source code driven software distribution schema dominated. 1 2 Landley, Rob (2009-05-23). "23-05-2009". landley.net. Retrieved 2015-12-02. So if open source used to be the norm back in the 1960's and 70's, how did this _change_? Where did proprietary software come from, and when, and how? How did Richard Stallman's little utopia at the MIT AI lab crumble and force him out into the wilderness to try to rebuild it? Two things changed in the early 80's: the exponentially growing installed base of microcomputer hardware reached critical mass around 1980, and a legal decision altered copyright law to cover binaries in 1983.